I truly believe Walt Disney was one of the great visionaries of the American landscape. I would locate him in a rather small handful of great minds that include Thomas Jefferson, Benjamin Franklin, Thomas Edison, Howard Hughes, Hugh Hefner, and Steve Jobs, each of whom are futurists. I carry around the image of these men, as well as their names, in a little black notebook with to remind me that creativity and genius is everywhere if only we are able to see and reassemble the pieces all around us. While Disney was arguably the least serious in the lineup, I don’t see that as a discredit to him. Hughes was able to see the future of aviation, Jobs technology, and Disney entertainment. His genius was not just “kiddy stuff” but a truly forward-looking glimpse into the possibility of animation and film. As the years went on, his attention turned to documentaries and we owe nature films and specials like those of the aquatic research of Jacque Cousteau to Disney. More, Walt was a diplomat/ cultural attache to South America during WWII. 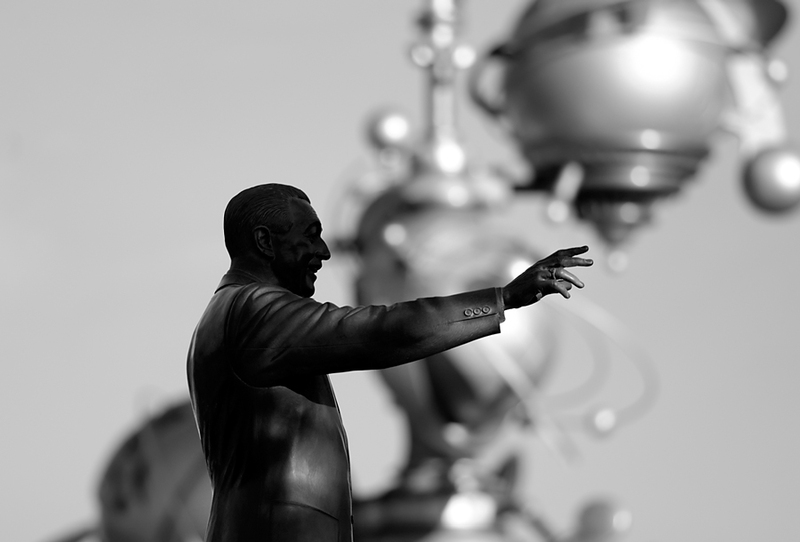 When he returned and proceeded with his work on Disneyland, Walt’s innovation helped move forward animatronics, robotics, simulated-intelligence interface and architecture. For a poor boy who grew up in Kansas and wasn’t all that great as an artist, Walt’s life provides evidence of an intelligence bordering on the polymath. Disney might be better understood in relation to another type of American cultural icon, the systems builder… That is, like Thomas Edison and Henry Ford [who were] celebrated for individual artifacts, Disney was actually the master of vast “technological systems,” to use Thomas Hughes’ term. Those systems involved “far more than the so-called hardware devices, machines, and processes,” but also the “transportation, communication, and information networks that interconnect them,” and the array of employees and regulations that make them run. Like Samuel Insull, Frederick Taylor, and Ford once again, Disney imagined his systems as blueprints for a future based on efficiency, conservation, and communal living. And yet for all of this, perhaps because of this, he remained elusive and misunderstood. He was a man who invested his entire self into his work, into building something, in giving the full measure of himself and his talents to his work only to be seen as overbearing, reclusive, antisocial, obsessive, and a domineering perfectionist. There are many themes that run through the life of Walt Disney and through the work of Walt Disney. But I think the most powerful theme is the idea that we can impose our will on the world. Because that’s exactly what Walt Disney did. Walt Disney imposed his will on the world in terms of animation. And when you think of it, what is animation after all? You take inanimate objects, drawings, and you bring them to life. It’s a very powerful and empowering kind of medium. And there are only two entities that I can think of who have the power to take the inanimate and bring it to life and that’s God and Walt Disney. And believe me Walt Disney saw the affinity between the two. But he also taught us that idea throughout his life. That the mind can impose itself on the world and recreate the world in the image of one’s own dreams. And he did that successfully. He conveyed that successfully. The image of Walt Disney that we all have in our heads is Walt as a very avuncular kind of genial fellow who introduced those broadcasts on Sunday nights in the 1950’s and then later into the 1960’s. And Walt was very self-conscious about creating that image. And he knew that it was a brand, that it would have its effect on the public, though Walt also understood the distance between that image and himself. I have a line in the book that I love, where Walt says, “You know I’m not Walt Disney anymore. Walt Disney is a thing. You know Walt Disney doesn’t smoke. I smoke. Walt Disney doesn’t drink. I drink.” So Walt was very aware of how different he was from the image. The Walt Disney inside that image, the real man, was an obsessive perfectionist. I used the word “perfection” earlier, an obsessive perfectionist. A man who’s expectations were so high about his own work that they inevitably could not be met. So he was a man who lived within a kind of constant string of disappoints. He was a man who suffered melancholy. He was a man who had no social life whatsoever. One of the things in going through his papers that I found repeatedly [were] invitations to various parties or function and Walt invariably would, would write in his bold hand in red crayon, “No”. This is a man who almost never socialized. His life was his studio. And to a lesser extent, a much lesser extent, his family. That’s not the Walt Disney that most of us think of. A tyrannical man in many respects who drove his employees to reach the same expectations that he had. His biography is even more layered when we recall how the way that Walt contributed to the construction of American culture. He was a devotedly patriotic man. So much so that, even during the blacklisting of Hollywood under Joseph McCarthy and the House of Un-American Activities Committee, Walt not only got a “pass” – he was designated as a special agent in charge. He often repeated the story of how he smudged his age and got his mother to change dates so that he could enlist in WWI (he joined too late to see war, instead driving an ambulance during the withdrawal of American Forces from Europe). More, as stated previously, Walt contributed to the social acceptance and celebration of N.A.S.A. and engineered a generation to mind their manners and preserve conservative values and mores through his films and television projects like The Mickey Mouse Club. For someone so grounded in building a terrestrial empire “in his own image”, who was mercurial and complex, and whose daughters admit had reservations about institutionalized religion, what if anything does Walt Disney have to do with matters of faith? I propose that Walt’s vision of the future could not exclude religion. Personally, he may not have held much store by the Congregationalist faith of his parents or even the Christian Science faith of his wife and daughters, but there is simply no way that Walt, who drew on every period and experience of life, could skip religion. It was too present, too much a part of his life, to ever neglect it. To reconstruct how he may have seen religion – a arduous task, to be sure – we must understand a little about these two faiths. Congregationalism is a branch of Protestant Christianity known mainly by the independence and autonomy that each local church (or “congregation”) decides on. It is difficult to locate Congregationalism on a denominational map, as their polity is more about individualism (i.e. personal privacy and expression of beliefs, traditions and practices) than doctrinal statements or beliefs. Congregationalism is more easily identified as a movement than a single denomination, given its distinguishing commitment to the complete autonomy of the local congregation. This is an important point, both when discussing Congregationalists and Walt as the child of two very active members. He could have been privy to any variation of Christian teachings, and may not have seen his absence from services as indicative of a lack of faith. In point of fact, his absence from regular services say as much about his faith as they say nothing at all. Which is why it is helpful to understand Christian Science, a new religious movement (i.e. “cult”) developed in the 19th century by Mary Baker Eddy in Boston. The movement saw its largest numbers before World War II, and dropped off considerably afterwards. Many religious commentators have seen a correlation between World War II and the precipitous decline of members after the war, reasoning that the teachings of Christian Science could not withstand the realities of war. Indeed, most new religions find it difficult to survive the contemporary experience when their origins cannot be lost to the sands of time (ex: Abram the wandering Aramean, Moses parting either the Red or Reed Sea, Jesus the miracle worker to peasants, Paul the missionary to the Mediterranean, Buddha under the locationless Bodhi tree, etc). The religion’s adherents, known as Christian Scientists, subscribe to a radical form of philosophical idealism, believing that spiritual reality is the only reality and that the material world is an illusion. This makes sense when we align it with Walt’s oft-repeated encouragement that humans can do anything, if only they believe it – a belief immortalized in the song When You Wish Upon a Star. Becoming familiar with Christian Science, one quickly begins to see how much the faith aligns with the teachings of Disney films and television – if you want something in life, you only have to believe it will come true and it will. There is a certainty in this – when you wish something to be true, it will become a reality. Naturally, this kind of thinking falls by the wayside when brought into the reality of war where no one wishes to die but often does. The entire like of thinking becomes psychologically frightening, as the warfare taking place is not just real but ideological. Staying with this example of war, when an American dies at the hands of a German, is it because he didn’t believe enough? And the German did? And given the large scope of World War II, did the Axis Powers lose to the Allieds because they couldn’t envision themselves winning? Did they forget to wish upon a star? This kind of thinking is why Christian Science has been considered a cult since its origins – it focuses on beliefs that lack a “real” and sober quality instead of downplaying them. Indeed, while Muslims, Christians, Jews, and many other religious adherents will allow for the miraculous, even the providence of the divine, Christian Science’s international logo of a cross and crown is encircled by the words “cleanse the lepers, heal the sick, raise the dead, cast out demons.” Miracles in these other faiths are not often put front-and-center, emblazoned on emblems and promoted in their doctrinal statements the way that Christian Science has done. Disney’s use of Christian Science teachings in a safe and comfortable world allows for those of faiths to embrace their wishes for a brief time. The Disney parks are fantasy worlds, the movies a pleasant distraction, from the “real” world with its monotonous routine, its 9 to 5 demands and broken sinks for these things are the “real” world we all know exists outside of Disney. But this is not a criticism – only a statement of fact. Indeed, as I stated in the first half of this article, I was a knowing imbiber of the Disney magic and have no regrets. Who doesn’t need the occasional vacation from their pessimism? Disney’s theology is clearly aligned with the “possibility” thinking that gave rise to Norman Vincent Peale, Zig Ziglar, Oral Roberts, John Osteen (and later Joel Osteen) and a number of television ministers who promote positive thinking, positive confession, and the “wealth gospel” that is a signature of Western theology after WWII – first in America and then exported to the African, South American, and Asian coasts. It is note-worthy that these teachings see prominence in impoverished regions of the world – expressly, the Southern United States and economically disenfranchised in suburban areas like New York. It is a theology wed to the American ideal of work hard, have a positive attitude towards your employer, and you will be rewarded/ promoted/ financially secure. As Walt once said, “When you believe a thing, believe it all over, implicitly and unquestioningly.” What is this statement if not an expression of the American spirit of rugged determinism, even in the face of adversity?